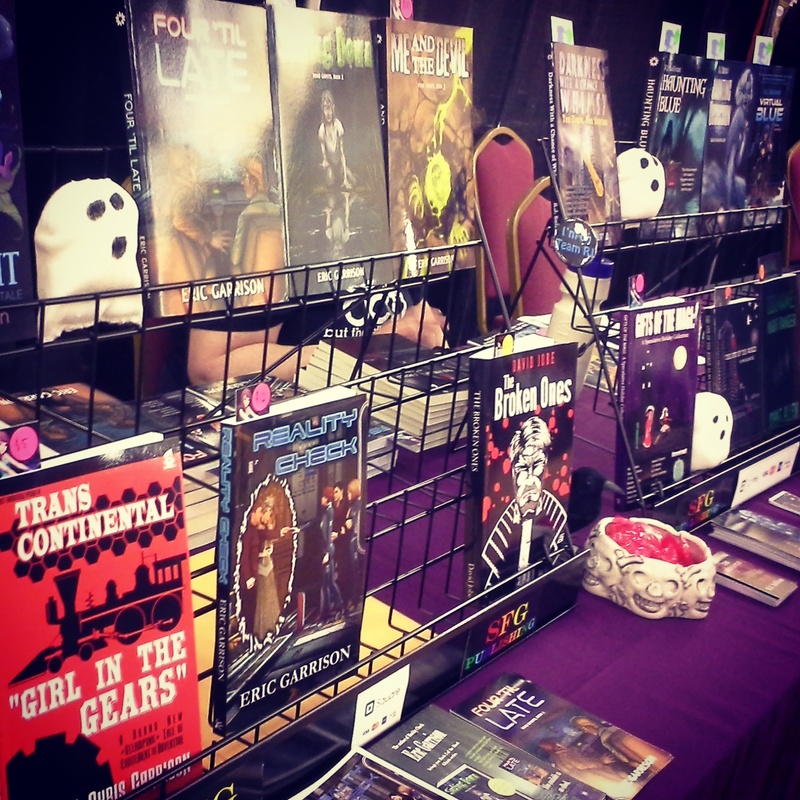 InConjunction is a science fiction & fantasy convention in Indianapolis, held every year on Independence Day Weekend. 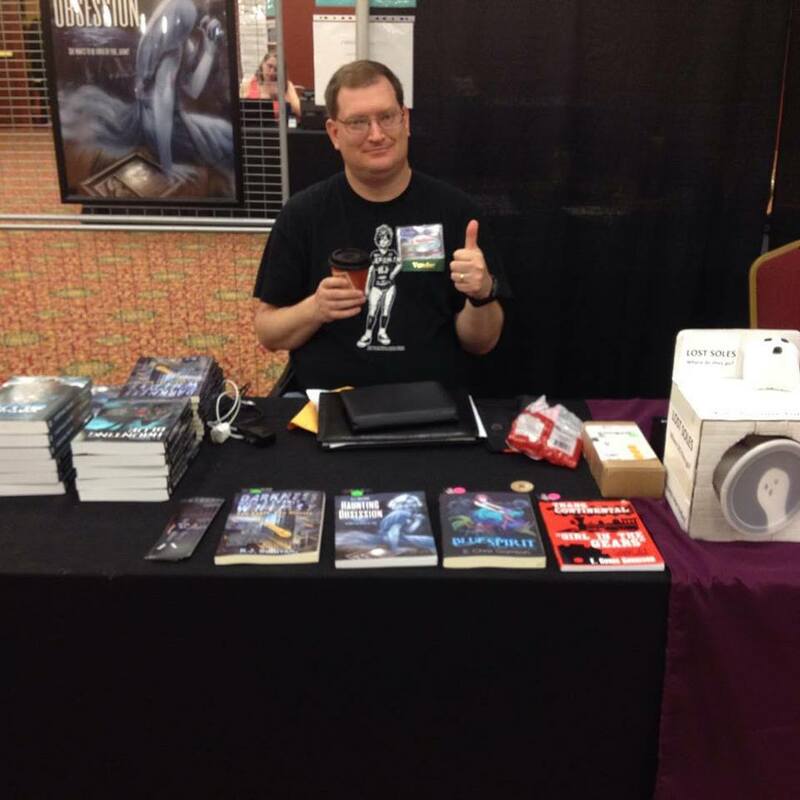 And it was a great year, I sold more books at this InCon than the previous two combined, and beat my overall record for books sold at a single event. I’ll confess: I had sold no books on Friday and none on Saturday — until 2pm. I was in the pit of despair. However. In the next three hours alone, I doubled the previous year. InCon folks who bought my books often said they’d read Reality Check and wanted to read more. Others noticed that Girl in the Gears was priced to sell, which made it easier to take a chance on me as a new-to-them author. Anyway, I’ll tell my InCon story in pictures and captions below. As you can tell from the filtering of the photos, I’ve got a full-on Instagram (@echrisgarrison) addiction, and I only signed up on THURSDAY. Help me. 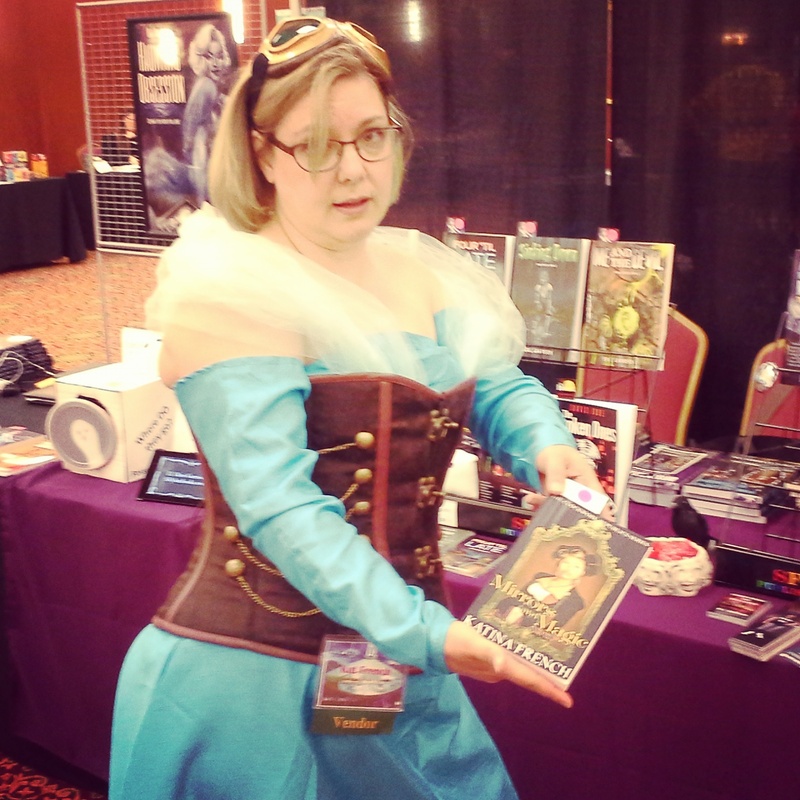 Here I am, in hippie-steampunk-slacker attire on Saturday, hawking my new releases and old standards. Trans-Continental: Girl in the Gears sold especially well! 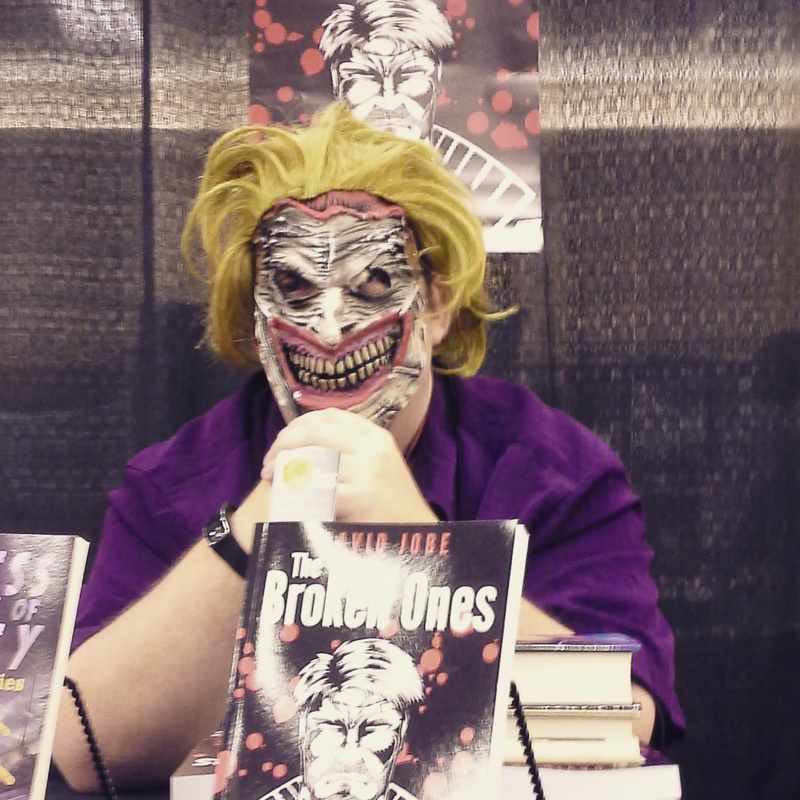 David Jobe made his spectacular debut with his first release: The Broken Ones, a dark superhero novel that shows great promise. I have to say, he did far better with his first book at his first con than I did in my first couple of years going to cons as an author. The Force is strong in this one. Stealing hearts, beguiling children, and generally being the badass Steampunk Disney Princess that she is, Katina French wowed the crowd in a blue satin dress and a hook-closure leather corset and goggles. Who could say no to her winsome charm? Okay, I am fangirling, I love Kat’s stuff, and I am jealous of her costumes. I have much to learn from her, as well. Despite being haunted by Lost Soles (ask R.J., it’s his fault), our new book racks were filled with awesome. And by awesome, I mean our books. And by our, I mean the Speculative Fiction Guild. Hear us roar. InCon itself was full of fannish randomness, like the It’s Not Out Fault Players’ revival of their short musical play, “Little Con of Horrors”. Here, the murderous machiavellian space plant (left) is warping the mind and sullying the soul of the hapless Gofer (right). Pollinate! Pollinate! I had to include this, it was the Major Award I won at Lou Harry’s Pub Trivia. Warning: the back has a spoiler, since it is a sequel, knowing that one of these title monsters survived gives away the ending to the first. 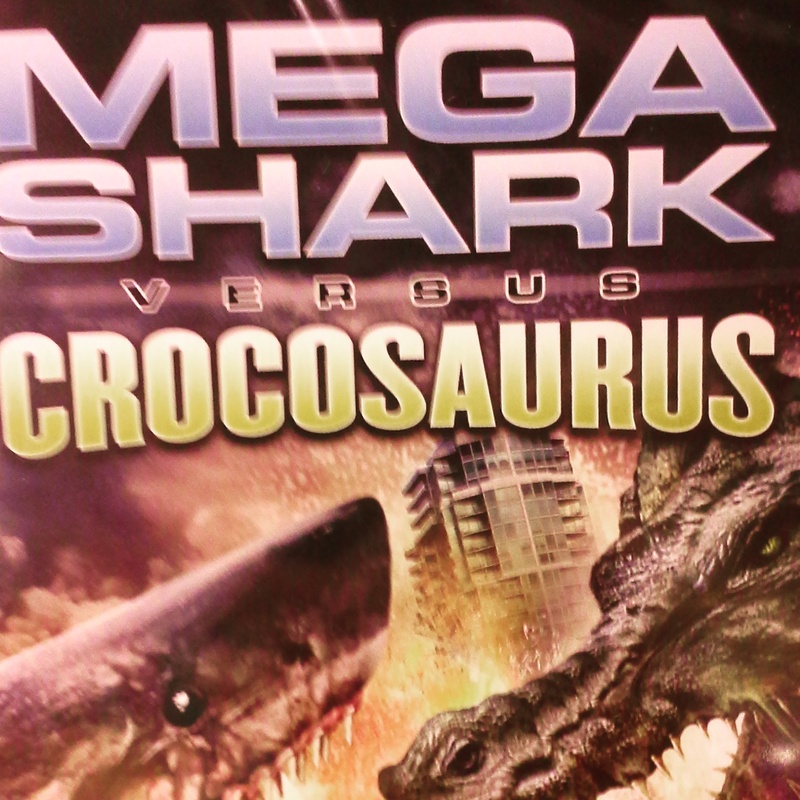 Bonus: Robert Picardo, the Doctor from Star Trek Voyager, is in this one. Also: Urkel. Wow. My buddy RJ Sullivan powers up with coffee on Saturday morning. 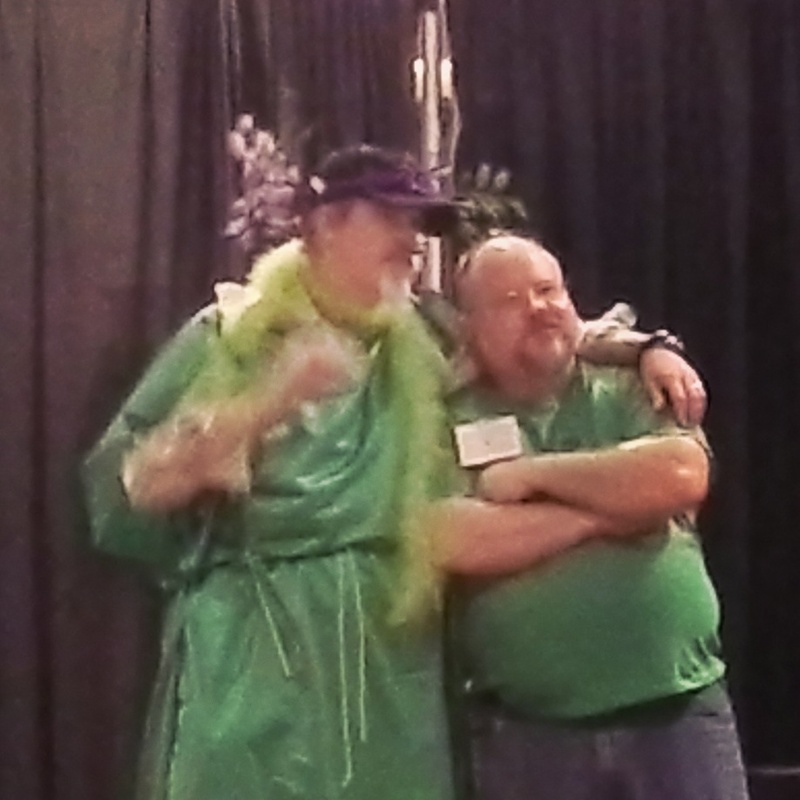 I wish I had a picture of John F. Allen here, but he was kind of a blur going from thing to thing all weekend. 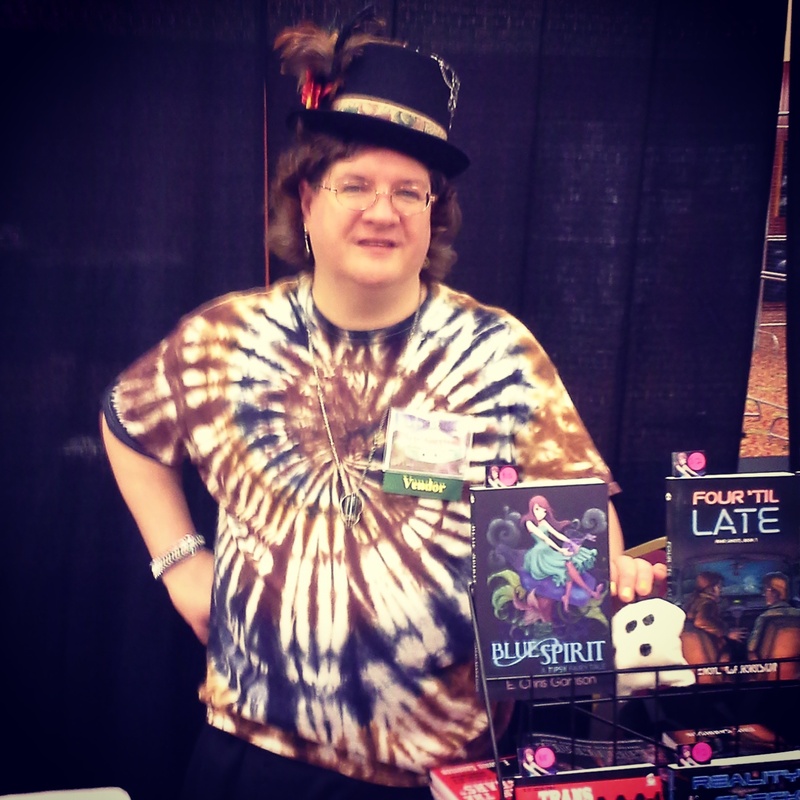 This entry was posted in Blog, conventions, friends, Guest, Seventh Star Press, Silly Hat Books, Speculative Fiction Guild and tagged inconjunction, instagram, john f. allen, rj sullivan. Bookmark the permalink.